A few weeks ago, large student protests at the University of California, Davis, prevented a scheduled speech by the incendiary Breibart writer Milo Yiannopoulos, who, among other things, has been banned from Twitter for inciting race-based attacks on “Ghostbusters” actress Leslie Jones. A week later, a demonstration at the University of Washington over the presence of Mr. Yiannopoulos, currently on a tour of West Coast schools, became violent, and a person outside the event was shot. Faced with events like these, as well as the installation of a president who has no qualms with publicly denouncing specific people, colleges and universities around the country find themselves struggling to discern how best to negotiate free speech on their campuses. “The answer to controversy is more speech, not less,” says Dr. Robbin Crabtree, dean of the Bellarmine College of Liberal Arts at Loyola Marymount University. Students come to college “informed and uninformed, engaged and unengaged, on a spectrum of both received and or chosen ideologies that have been interrogated and not interrogated,” she explains. One of the challenges for higher education in balancing free speech and campus safety is some of its own language. Terms like “hate speech” and “safe spaces” originally developed out of a growing awareness of the struggles and needs of marginalized groups. Today these ideas can cause problems. What constitutes “hate speech,” for example? “Safe spaces” has likewise been used by some to suggest that points of view that some may find personally hurtful or inconsistent with the mission of a college or university have no place being expressed there. Indeed, what kind of education is even possible without challenge and vulnerability? “I don’t think the Constitution protects us from being uncomfortable,” Mr. Rocheleau says. That civility now appears to be one of our most difficult social challenges. Writing in The New York Times, Georgetown University professor Karen Stohr bemoans how contempt and the identification of someone “as unworthy of engagement and thus not a full member of the human community” has become a central form of national discourse. My impression is that this is a very one sided problem. Left leaning universities which include many of the Jesuit universities are preventing people from conservative or other non left view points from speaking. Not entirely but that is the trend. It will be an eye opener. Sad to see that some fellow liberals and progressives have forgotten the importance of making free expression the center of liberal arts education. To paraphrase the late Nat Hentoff, the best way to fight bad speech is with good speech. Non-violent demonstration is a human right, not just an American right and in and of itself is noble. In my younger years I have also demonstrated especially for pro-life purposes. But when it becomes constant as we see happening of late, it cheapens its moral righteousness and becomes annoying! How to control an "out of control" human right non-violent demonstration impulse, is a big problem, as we do have the right, even the moral need to make our voices heard in the face of clear injustice. But for heaven's sake, enough already! Let's all cool it, take a deep breath, or two, and give the current Administration for example,the chance to prove itself on track, or off track. I personally am fed up with frequent demonstrating, but absolutely in sync with honest, reasonable demonstration, rooted in and nourished by sincere love. It is not okay to punch a Nazi, but those who call for hatred are likely to get punched. Live by the sword, die by the sword. In the name of free speech and against fascism, masked black clad rioters shut down Milo Yiannopoulos with fire and violence. Advocate the burning of books. These freedom fighters don't understand the meaning of the word, "irony." "No one’s safety is at risk from different opinions," Yiannopoulos told "Tucker Carlson Tonight" in a phone interivew. "No one’s physical safety is endangered by political ideas from a speaker on campus, but universities have sort of allowed this stuff to happen, and even in some cases encouraged it." 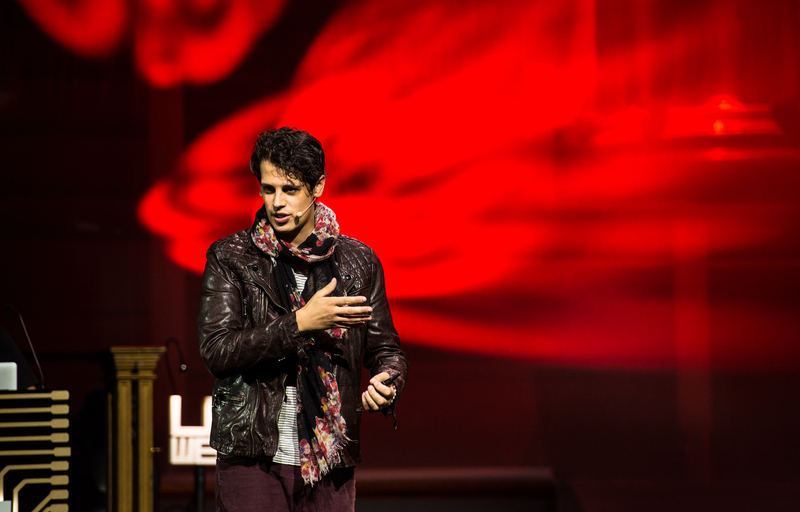 Of his opponents, Milo said, "They never want to debate because they’re scared of losing. They don’t have the facts on their side and for 30 years the left has been able to bully people into silence by name-calling and they’ve forgotten how to argue."